An international journal publishing original research papers on mycology and open to all scientists. 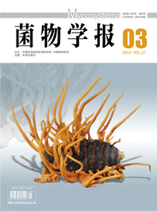 The journal is published bimonthly under the coauspices of Institute of Microbiology, Chinese Academy of Sciences (CAS)and Mycological Society of China. Papers may be either in English or in Chinese with an English abstract. Contributions are mainly accepted in the field of taxonomy, biodiversity, biogeography, molecular systematics, ecology, pathology, genetics, medical mycology, and biotechnology. Literature reviews dealing with various aspects of mycology will also be considered. The manuscripts are strictly refereed prior to acceptance.